Nagpur: The Dassault Reliance Aerospace Limited (DRAL) has started commercial production of Falcon – the business jet made by Dassault Aviation, France – at its unit in Dhirubhai Ambani Aerospace Park, MIHAN-SEZ, from April 18. In the first phase, the DRAL is assembling cockpit along with landing gear and other parts. A team of 50 experts including five engineers and 30 local technicians are working in this project. Expansion of the project would provide jobs to many engineers. The unit set up at the MIHAN SEZ in Nagpur is part of Reliance Aerospace Park which is coming up on in an area of 106 acres. At this Park, the DRAL project is on 56 acre land. In the beginning, production of Falcon jet cockpit and spare parts has commenced. The set up of machinery and actual work was done under the leadership of DRAL’s Chief Executive Officer Sampatkumar and Chief Operating Officer Robert Loock within 60 days. Both these officers were camping in city since September 2107. A workshop for providing hi-tech training for new recruits has been set up. At the outset, five engineers were given six-month training in Dassault Aviation Company in France and the 30 local technicians were trained at a special training centre in Kamptee. The production of entire Falcon business jet will be done in three years and that of Tafale fighter jet in five years at Dhirubhai Ambani Aerospace Park. India is purchasing 36 Rafale fighter jets worth Rs 60,000 crore. As the offset obligation connected to the purchase of 36 Rafale fighters from France, signed between the two Governments in September 2016, Dassault Aviation has to invest 50 percent of the cost in India. Under this obligation, the Dassault Reliance Aerospace Ltd has commenced the project at MIHAN SEZ. The DRAL has imported machinery from France for manufacture of spare parts. The machinery reached Nagpur in containers from France via Chennai. 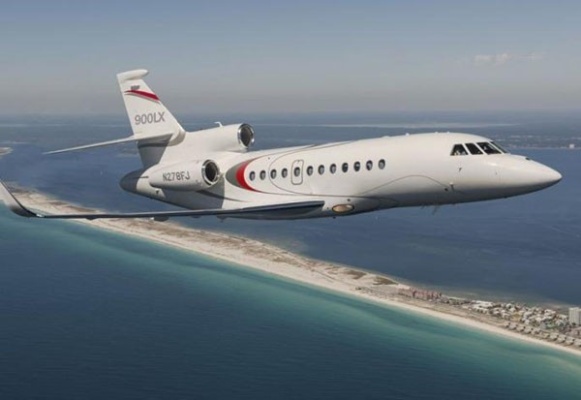 DRAL will manufacture components for the Legacy Falcon 2000 Series of Civil Jets manufactured by Dassault Aviation and thus will become part of its Global Supply Chain. These first steps are expected to achieve in the coming years, the possible setting up of final assembly of Rafale and Falcon Aircraft. The Joint Venture also represents a unequalled Foreign Direct Investment (FDI) by Dassault Aviation of over 100 Million Euros, the largest such Defence FDI in one location in India. The DRAL facility will train thousands of skilled workers in aviation assembly and integration, and lead to huge employment generation in Nagpur and its surrounding areas. It will also attract and house an organic ecosystem of over 200 MSMEs to secure the component and avionics manufacturing needs of Rafale and Falcon Jets.